Did you know that 2016 represents the 100th year of the Girl Scout Gold Award? It’s a big year! 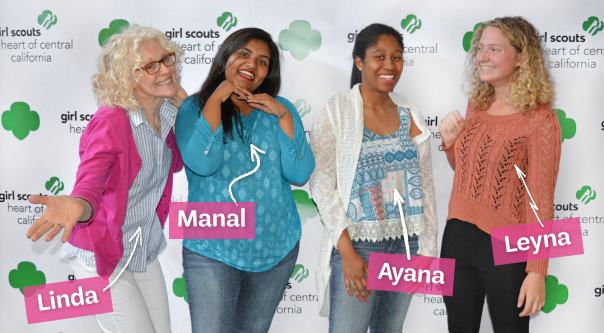 This week, three GSHCC Girl Scout Gold Award recipients (Manal, Ayana and Leyna) will join other Girl Scouts from around the country, and Girl Scouts of the USA CEO Anna Maria Chavez at a special centennial celebration in Washington, D.C. Then, on June 22-23, we’ll join dozens of Girl Scout Gold Award recipients from all over the state for a centennial celebration at the California State Capitol. A select group of girls have been chosen to meet with members of the Women’s Legislative Caucus and watch as the State Senate and Assembly pass proclamations in recognition of the 100th anniversary of the Girl Scout Gold Award. It was a proud moment on Sunday, June 5, when Girl Scouts from all over our council gathered for our annual Girls Who Inspire ceremony. 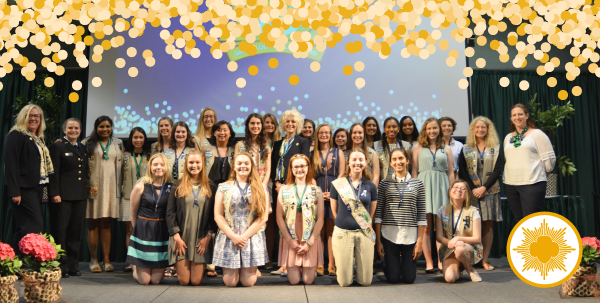 Nearly 200 young women were recognized for their leadership, skill and compassion as they earned the Girl Scout Gold Award, Silver Award, Rose Award and Bridge to Adult award. Their inspiring projects are a testament of the motivation and giving hearts of our local girls.